This article is the second of those preparing the ground for a review of the new data on the last phase of Eelam War IV served up by access to the despatchesof British Defence Attache Lt. Col. Gash (the first being my analysis of Pirapāharan’s strategy of assassinations). It concentrates on the character of the state of Thamilīlam­ throughout its period of existence, viz. from 1990-2009. It by-passes the pre-history when the Tamil New Tigers-become-LTTE was an incipient insurgent force competing with other Tamil militant organisations and with the GoSL and/or the IPKF for control of terrain. Thamilīlam­ in its fuller emergent state form could be said to have originated in early 1990 when the Indian Peace Keeping Force departed and the LTTE insurgents gained control of most of the Jaffna Peninsula. This span of control increased in mid-1990s when the Tiger insurgents outmanoeuvred the Premadasa government and seized control of most of the Eastern Province after attacking and seizing several police stations and then massacring around 600 policemen who had surrendered. This spatial reach was reduced in mid-late 1995 when the SL Army attacked from the Palaly enclave and seized control of the Jaffna Peninsula. But it then expanded again when the Tiger forces overran the SL Army base at Mullaitivu in 1996 and then took control of Kilinochchi town and eventually the huge army base at Elephant Pass in 1999-2000. 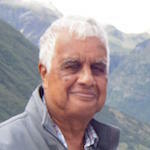 However, the LTTE and its supporters abroad always had larger territorial ambitions and their maps of the Eelam project were in step with the “traditional homelands” claim presented by the ITAK (Federal Party) from 1949 onwards[i]– thereby embracing Puttalam and Chilaw in the expansive world-view typical of all fascist states in their embryonic stage. Thus, from 1990 one witnesses the LTTE setting up an independent administration in its territories with Velupillai Pirapāharan as its “talaivar” or Supreme Leader and its military commanders as the dominant authority in all regional centres. There was a civil administration consisting of the previous Tamil civilians who had served the government of Sri Lanka and who retained the titles of yesteryear. Over time the LTTE inserted some of its own personnel alongside these posts or displaced these persons with their own appointees. This process involved the creation and/or overseeing of the judicial organisation as well. The law courts were LTTE run and instruments of control as well as service. These events were preceded by several weeks of intense propaganda work with appropriate music ‘blanketing’ the air waves everywhere and māveerar-sheds depicting the dead māveerar from each locality at judicious locations in each locality. Remarkably, as I can attest from my experience in Jaffna Peninsula in late November 2004, such processes and events devoted to the deepening of Tamilness and obeisance to the talaivar and his martyr soldiers were freely pursued within GoSL territory as well. 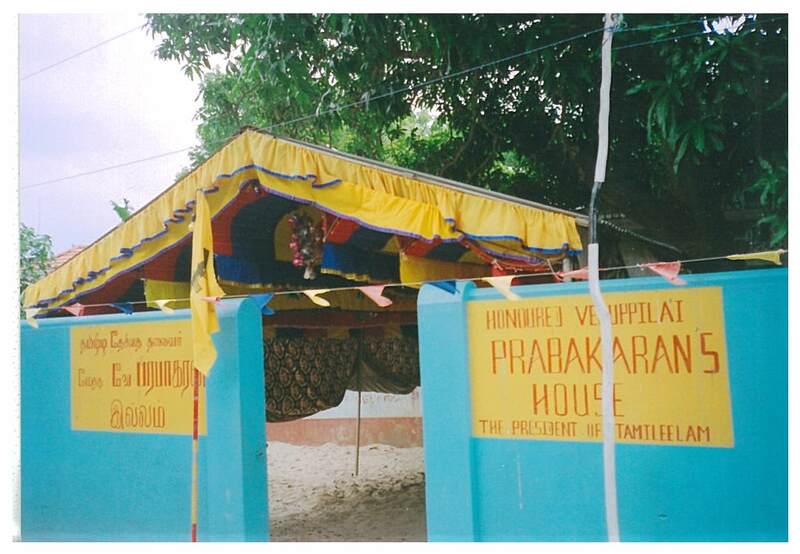 An Office of Great Heroes (māeeīrar, was set up in 1995 and the head was Pon Thiyagam, an experienced grey-haired official whose no-nonsense capacities impressed me greatly when I met him briefly in Kilinochchi in 2004. The LTTE was well-served by the longstanding history of education in the Jaffna Peninsula and at such centres as Batticaloa: several generational cohorts of public servants were available to implement its programmes. Thamililamwas also an innovative state. State-of-the-art underground hospitals had been constructed in Jaffna town in the early 1990s; while the underground complex built subsequently at Mullaitivu was impressive. Its innovative building of fast shallow water attack boats gaveits Sea Tigersconsiderable clout as a brown water navy. Its suicide cadre in the Black Tigers sharpened the LTTE’s raiding capacity as well as assassination work. The devastation of the Central Bank in Colombo Fort on31 January 1996 and the Tamil commando strike on Katunayake airport on 24thJuly 2001mark the capacity to inflict clinical assaults displayed by these personnel. The organisation at both events was exemplary. The arrangements on the 27thindicated attention to spatial requirements and participant comfort. Again, the restaurants in town and the bus services were state run (via delegation) and well-run. I was intrigued by the occasional scenes of cyclists and motor cyclists-towing-carts that moved hither and dither bearing two coconut seedlings, apparently gifts from the LTTE to householders on that day the 27thNovember which would therefore boost the productive capacity of the smallholdings everywhere – a simple innovation, yet so useful. In conversations in English with two Health Department officials who joined our little party at meals and in interviewing Thiru Master (a senior LTTE counsellor and one of the speakers at the media event) at his house, I was peppered with complaints about the Sri Lankan state’s activities. These men were feisty and itching to return to war. There is little doubt, therefore, that the Tiger leadership launched Eelam War IV in mid-2006 with a conviction that they could cap their existing paraphernalia of statehood with formal worldwide confirmation. The existing pillars of statehood included a little innovation on their part that also pointed to a shortfall. In April 1996 when astrologers and some bhikkhus persuaded the Kumaratunga government to adjust the Sri Lankan clocks by a reduction of one half-hour, the LTTE retained the old 24-hour schedule. [viii]In effect, they did not adhere to official “Sri Lanka time” and could display their “sovereignty” in yet another way. However, this little sign highlights a fundamental shortfall. Throughout these decades the currency in use in Thamilīlamwas the Sri Lankan rupee. I paid for my meals and bought books and disks at Kilinochchi with my stock of rupees. Why, then, had there been no change on this front? Answer: because a significant number of residents in Thamilīlamwere either pensioners of the SL state or were serving officers in departments subject to directives from Colombo. They were recipients of pensions and/or salaries from the government of Colombo. While dependent on the Colombo in this manner, they took orders from the LTTE. Thus, one pillar of the LTTE economy was the cash flowing in regular fashion from the GoSL. That foundation, and its tell-tell sign, the ubiquitous Sri Lankan rupee, marked an outstanding shortfall; in fact, it was an awful sore on the forehead of the Thamilīlambody politic. The LTTE state, moreover, drew some of its wherewithal in food supplies and medicinal needs from the stocks despatched to ‘their citizens’ by the GoSL arms working in conjunction with UN and other humanitarian agencies. The government centred in Colombo was marking/asserting its sovereign rights in this manner. The supplies were so useful that the LTTE chose to let them flow in. In this concession and in their continued dependence on the rupee as currency, they were conceding limits on the fullness of their statehood. That was not a major concern for talaivar Pirapāharan in 2004. Bolstered by past success, he and his commanders were certain that they would finalize their nation-status by waging war. Ramesh, the Tiger Propaganda Chief whom I met in Kilinochchi in November,[ix]moved to Mullaitivu in December to prepare for this step. The ravages of the tsunami of 26thDecember that year delayed that move. However, the LTTE machinery of state regrouped and initiated Eelam War IV at Mavil Aru in August 2006. This is an extended set of references that will lead earnest readers to the cultural and religious background of Sri Lankan Tamils which informed the mobilisation work and ceremonies of homage to the hero-dead that figure in this article. These references, in their turn, will point towards the literature on South India which is pertinent for this type of exploration. Chandrakanthan, Revd. A. J. V.2000 “Eelam Tamil Nationalism,” in A. J. Wilson, Sri Lankan Tamil Nationalism. Its Origins and Development in the 19th and 20th Centuries, London, Hurst & Co., pp. 157-75. Gulf News 2006 “Time for change when Sri Lanka turns back the clocks,” 13 April 2006. Hellmann-Rajanayagam, D.1994 ‘The ‘groups’ and the rise of militant secessionism,” in C. Manogaran & B. Pfaffenberger (eds) The Sri Lankan Tamils. Ethnicity and Identity, Boulder: Westview Press, pp. 169-207. Hellman-Rajanayagam, Dagmar2005. “And Heroes Die: Poetry of the Tamil Liberation Movement in Northern Sri Lanka,” South Asia28: 112-53. Hoole, Rajan2001 Sri Lanka:The Arrogance of Power. 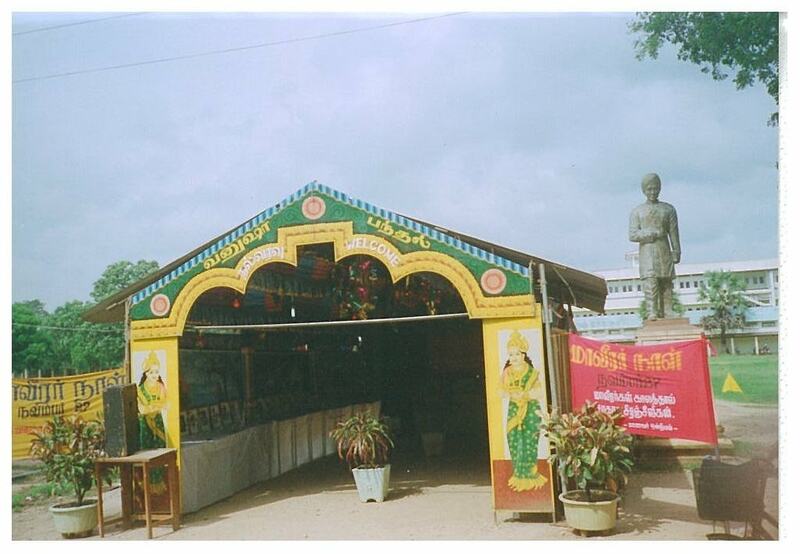 Myths, Decadence, & Murder, Nugegoda Wasala Publications for UTHR (Jaffna). Reuter, Christoph 2002My life is a weapon. A modern history of suicide bombing, Princeton: Princeton University Press. Roberts, Michael 1996 “Filial Devotion and the Tiger Cult of Suicide,” Contributions to Indian Sociology30: 245-72. Roberts, Michael 2004Narrating Tamil Nationalism. Subjectivities & Issues, Colombo: Vijitha Yapa Publications. Roberts, Michael2005. “Tamil Tiger ‘Martyrs’: Regenerating Divine Potency?” Studies in Conflict & Terrorism28: 493-514. Roberts, Michael 2005 “Saivite Symbolism, Sacrifice and Tamil Tiger Rites,” Social Analysis49: 67-93. Roberts, Michael 2006 “The Tamil Movement for Eelam,” E-Bulletin of the International Sociological AssociationNo. 4, July 2006, pp. 12-24 [reprinted in Roberts, Fire and Storm, Colombo, Yapa, 2010, pp. 203-18]. Roberts, Michael 2006 “Pragmatic Action & Enchanted Worlds: A Black Tiger Rite of Commemoration,” Social Analysis 50: 73-102. Roberts, Michael 2007 “Suicide Missions as Witnessing: Expansions, Contrasts,” Studiesin Conflict and Terrorism, vol. 30 (10): October 2007, pp. 857-88. Roberts, Michael 2008 “Tamil Tigers: Sacrificial Symbolism and ‘Dead Body Politics,” Anthropology Today 24, no. 3: 22–23. Roberts, Michael2009 Confrontations in Sri Lanka: Sinhalese, LTTE and Others¸ Colombo: Vijitha Yapa Publications. Roberts, Michael 2010Fire and Storm. Essays in Sri Lankan Politics, Colombo: Vijitha Yapa Publications. Roberts, Michael 2010 “Self-Annihilation for Political Cause: Cultural Premises in Tamil Tiger Selflessness,” in Roberts, Fire and Storm. Essays in Sri Lankan Politics, Colombo: Vijitha Yapa Publications, pp. 161-201. Roberts, Michael 2010 “Hitler, Nationalism, Sacrifice: Koenigsberg and Beyond … Towards the Tamil Tigers,” in https://thuppahi.wordpress.com/2010/03/19/hitler-nationalism-sacrifice-koenigsberg-and-beyond-%e2%80%a6-towards-the-tamil-tigers/. Roberts, Michael 2013 “Towards Citizenship in Thamilīlam Sri Lanka’s Tamil People of the North, 1983-2010,” South Asia Research, 2013, 33: 57-75. Roberts, Michael2014 “Inspirations and caste Threads in the Early LTTE,” in Roberts, Tamil Person and State, Essays,Colombo, Vijitha Yapa Publications, 2014, pp, 1-43. Roberts, Michael2014 “Hero Figures and Hitler in Young Pirapaharan’s Thinking,” in Roberts, Tamil Person and State, Essays,Colombo, Vijitha Yapa Publications, 2014, pp, 69-89. Roberts, Michael2014 Tamil Person and State. Essays, Colombo: Vijitha Yapa Publications. Roberts, Michael2014 Tamil Person and State. Pictorial, Colombo: Vijitha Yapa Publications. Schalk,Peter2003 “Beyond Hindu festivals: the celebration of Great Heroes’ Day by the Liberation Tigers of Tamil Ealam (LTTE) in Europe,” in Martin Baumann et al (eds.) Tempel und Tamilien in zweiter Heimat, Ergon Verlag, pp. 391-411. Sumathy S. ‘Militants, militarism and the crisis of Tamil) nationalism’, Colombo: Marga Institute, A History of Ethnic Conflict in Sri Lanka, Monograph Series, No. 22. [i]For the Presidential Speech by Chelvanayakam and the title page of the pamphlet presented by “The Federal Freedom Party of the Tamil-speaking people of Ceylon” on 18thDecember 1949 go to Roberts, TPS.Pictorial, 2014, pp 273-92. [ii]See Harding 2002 and Roberts,TPS. Pictorial, 2014, Figs. 59-61. [iii]This point is clarified forcefully by Natali (2005) One should also visit the articles by Schalk (2003) and Hellmann-Rajanayagam (2005) both of whom are proficient in Tamil. The scenario is also set out in broader contextualization in Roberts “Saivite Symbols” 2005; Roberts. “Pragmatic Action,” 2006 and Roberts, “Regenerating Divine Potency?” 2005. [iv]This estimate was presented by the late Joe Ariyaratnam of Reuters who was staying at the same guesthouse as myself. He indicated that more than half the Tamils of the north would have assembled at the various thuyilumilumon that day 27thNovember. [v]These appraisals in their turn informed my conjectural assertion that the Tamil people resident in Thamililam were firm supporters of the LTTE (see Roberts, “Citizenship,” 2014). [vi]Reference to the statistics from Kilinochchi, Mullaitivu and Mannar Districts in the 1981 will, I think (from memory) indicate that about ten percent of the population were classified as “Indian Tamil.” In surmise, I suspect that this was in large part due to the land reform and other policies pursued in the hill country by the United front government of 1970-77. [vii]Taken in conjunction with other individual case histories (e. g. Thamil Chelvam), this tale points to an important process that calls for in-depth study: viz. the degree to which the rise of Tamil militancy, and the period of LTTE rule, assisted the Indian Tamils in the north and the depressed castes (Pallar, Paraiyar, Nallava) to raise their position in Tamil society. [viii]See Gulf News, 13 April 2006. [ix]I was introduced to him on the 28thNovember. THE poster of the early maeeirar that is reproduced in miniature copy as Fig. 3 in my Tamil Person and State. Pictorial remains in my hands as a rare document and memento. Dude Roberts this is all terribly old hat! Do you have some Diaspora nostalgia for the good old war days when you felt important hobnobbing with LTTE elites in Killi. Move on man, time for another visit to Jaffna and check out the militarization of Sri Lanka by America with its buddies Japan and Aussi in their Cold War with China in Indo Pacific. Your Aussi home land it seems hates Boat people and Rohingya refugees but wants rich Asia kids who pay fancy fees for higher education and Universities in racist Aussi. Why not address Australian Racism, migration policies and how it treats refugee boat people TODAY? If this was written by a guy named Srinivasaraghavan Venkataraghavan – the argument makes sense. But its by Micheal Roberts. Micheal is derived off the Hebrew word Micha-el ‘(Who is like God ). In Latin it was Michel and in English Micheal. I can think of two people with the last name Roberts . Julia – the blonde-blue eyed American actress from the 1990’s, and Andy Roberts the west Indian fast bowler , who got his name because he’s ancestors worked for a slave owner named Roberts. M. Roberts needs to find out who he is first before advising the likes of Liyange, Hewage, Binduhewa, Simbakuttiarachige, Wanniarachi, Warnakulasuriya, Waduge, and Weeratunga etc. It is painful to read such ignorant rubbish as you have written. PROFESSOR Roberts is not some Tamil from Jaffna. His father was a West Indian civil servant seconded to Ceylon in colonial times. Probably related to Andy Roberts. He was educated at St. Aloysius’ College , Galle. Do some research before you put you foot in your mouth. Why did they settle down in Sri Lanka and never ever return to the West Indies? Whom did his father marry in Sri Lanka? A Tamil from Jaffna or elsewhere in Ceylon? St. Aloysius’ College , Galle had many Tamil students and very famous Tamil teachers. All so fishy. Facts needed to accept y.our thesis and Roberts’ academic credibility. He certainly is very biased for some reason or gain and does not display the gentlemanliness and class of a civil servant’s son. Ever heard of Google? Use it and don’t be a dumbass. Display some gentlemanliness and class.Accept when you are wrong. LTTE could not have lasted if not for GOSL providing the state services, salaries, pensions and food and other supplies via the Army through UN to the LTTE controlled areas. If the people had no money and had no services or food in the LTTE controlled areas they would have revolted, why GOSL was bound to provide all that to the LTTE controlled areas is still a mystery to me, was it compassion, was it persuasion, was it threat? Moreover LTTE was attacked aerially only after 2007 or 2008 and that brought the end. Again why not before? I wish you many more years of political analysis – jaundiced or otherwise, Sir, despite the slant towards poorly concealed Sinhala chauvinism. The division between the two ancient races, fuelled in recent decades by the Homeless One, DS, RG, SWRD, KMP Rajaratne of Konar origin, Cyril Mathew of low Kerala origin, the politicised Mahanayakas and priests more in the streets and many other latter avatars is inevitable and will probably result in two States within one island. It is time you educated the Sinhalese, in your natural intellectual brilliance, they and their language are largely of Tamil and South Indian origin. Surely, you are familiar with the expression – intellectual honesty We are both the same people sometimes pretending to be otherwise. It is up to the wise and learned to passionately and vigorously declare the equation as it is. No, the SLAF attacked the LTTE even in the 80’s. But it didn’t have the MIGs and Kfirs of later years, only Pucaras and such. The question you should be asking is why the govt, which always had a numerically and materially superior force, took so long to defeat a collection of boys in rubber slippers? Didn’t you know Athulath Muthali got his airmen to drop s**t barrel bomb from the sky. He got the Keenie Meenie Services to fly helicopters, …………….. The war was won by VP for Mahinda with immense help from Hindia and the USA. My Elders also tell me in 1971 the weeping widow got the Hindian Air force to bomb JVP’s Tora Bora caves in Kegalle District. Yes NV, Wanni does suffer from selective memory. He is beginning to remind me of one Prof. Chandre, who also dons various other hats as the need arises. What do you think? For wannihami and Champa this is the second or third incarnation. I am unable to identify/relate to their previous incarnations. Have noticed both wanni and Champa are compulsive liars, hypocrites and bigots. Both never clarify your follow up questions. Is Vibhushana akka De Silva still alive? This guy likes digging graves. We are not interested. The punk is dead as he deserved, having caused enough havoc in SLK and abroad. Why does Michael Roberts’ use the word “Thamilīlam­”? This word was in vogue following the 1983 Pogrom? Heard about this pogrom Michael? Since then a near ISO word was in use (stress WAS). Now Dear Michael Dear Michael Dear Michael, politicians of substance accept that this ‘separation’ thingy is not there anymore. Journalists of SUBSTANCE do not write about this. The unscrupulous still do. SLPP (Founder Chaiman Prof GL Peiris the replacement of Wimal as Head Archie Bunker to ‘All in the family’) used this McCarthy-fear of separation at the recent local government elections. SLPP is headhunting ig-talents in this endeavour. Michael: Many academics, liberal thinkers and writers the world over accept that liberation movements are a component of cause/effect. They also say that one movement dominates. And rest is………..? The here article indicates that you never looked at it that way. Why not research this aspect? Another thing Michael. We are struggling in a quagmire of culture of corruption/nepotism/impunity. The President’s Commission of Inquiry into the failed SriLankan Airlines is leading us to the tip of this iceberg. The extent of the damage caused by politicians past/present is incredible. SriLankan Airlines is an SOE and all SOEs are in similar plight. What is the purpose of SLPP? Is it to get into the driving seat and stop the skeletons coming out? Food for thought – certainly will not bring the samba and parippu. Michael roberts: what you are talking here is the mentality, in brief, of every dictator. In other words, EVery emperor, even now, and every dictator such as Hitler, Napolean, Japan thought they would succeed and they did not give it up. They wanted to dominate and they thought they would do it. But, on the other hand that Story of David and Goliath must be true too. Sri Lankan conflict is the logical conclusion of the ultra Tamil nationalist project that started in TN in mid 19th Century. It was always fascist. The basis of Ultra Tamil nationalism is a fake revisionist history invented by Tamil nationalist politicians to keep the Tamil sheep under their wings. According to them everything under the Sun came from Tamil. If Sri Lankan government had a brain (CBK and RW), this war would have been finished before 2000. It was CBK’s stupid move to send food and other suppliers to LTTE areas that gave more life to LTTE. Had the government restrained from that and paralyzed the whole state structures in LTTE areas, it would have broken down just like Cambodian people went down under Polpot. And a substantial percentage of Tamils in North are Indian origin Tamils who were brought to SL in 19th century by the Brits. Imagine the 18th century kallathonies fighting for a mythical 3000 year old Tamil homeland.